All inclusive. No waiting in line. 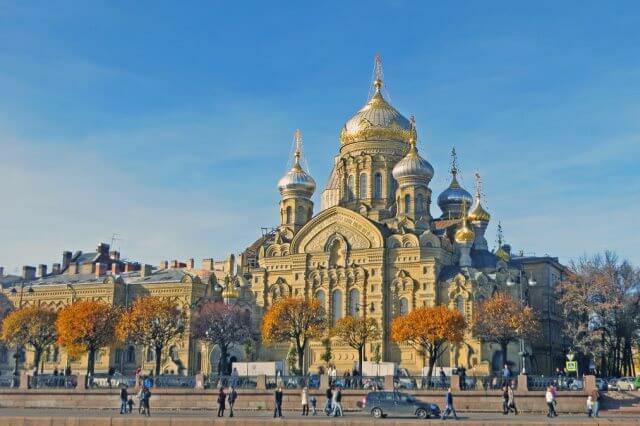 The citizens of St. Petersburg affiliate themselves with more than 260 religions. It's the city of tolerance numbering hundreds of cathedrals, churches, temples and mosques. 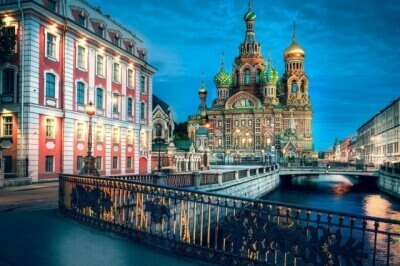 Shortly after the foundation of St. Petersburg Peter the Great ordered to build small wooden churches with high bell-towers and pointed spires which dominated the skyline to make low marshy land look more picturesque. The tsar's idea is still alive: up to now churches and cathedrals remain the highest architectural structures of the city. 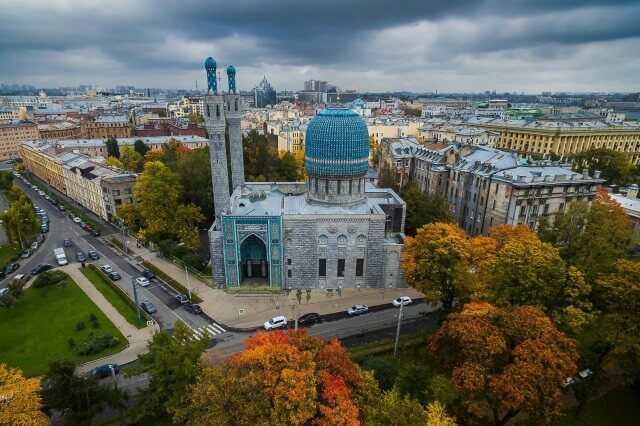 Hundreds of foreigners flew to the capital of the Russian Empire, bringing their traditions and making ground for the creation of multi-faith society. 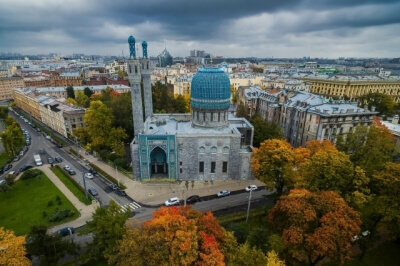 St. Petersburg houses the largest synagogue, Buddhist temple and Tatar mosque in Northern Europe. Above all, the city cathedrals are monuments of exceptional architectural and historical importance. 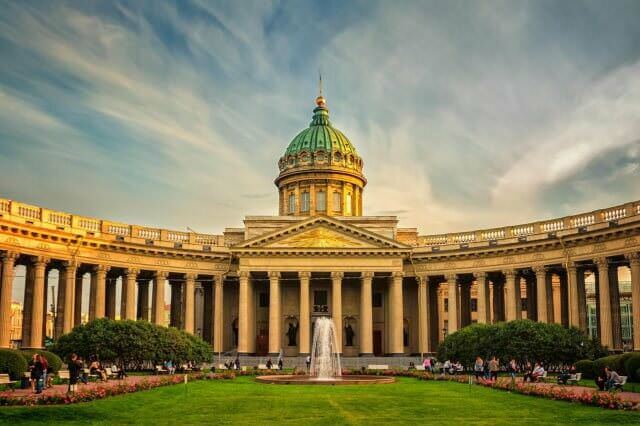 The Kazan Cathedral – the main one in St. Petersburg – was built in 1811 and designed by Andrew Voronikhin. 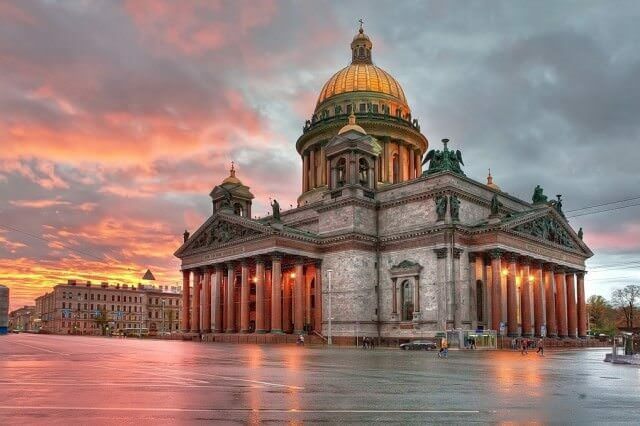 It was ordered by Paul I, the Grand Master of Malta, who was dreaming about the union of the Orthodox and the Catholic Churches, that's why St. Peter's Basilica in Rome became the main prototype of the Kazan Cathedral. It houses a copy of the wonder-working icon of Our Lady of Kazan, one of the most venerated in Russia. The Cathedral glorified Russia's victory over Napoleon in 1812: after the war it was decorated by the trophy banners and keys of surrendered cities, French silver was used to face the iconostasis and the commander-in-chief Michail Kutuzov was buried here. 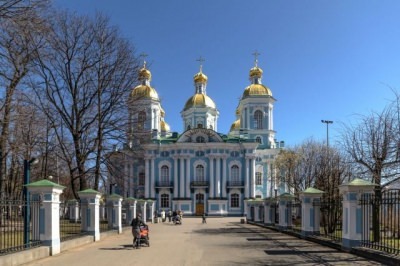 Spaso-Preobrazhensky (Transfiguration) Cathedral, designed in 1829 by Vasily Stasov, is also connected with the military history of Russia. It is surrounded by a fence composed of the cannon barrels taken during the war with Turkey in 1828 – 1829 and dug into the ground, with the emblems of the Russian Empire on the tops. One of the main relics of the cathedral is Peter the Great's favourite icon of the Holy Mandylion, which accompanied him during the foundation of St. Petersburg, the Poltava Battle and in his dying hours. In spite of anti-religious persecution which spread out in Russia in the Soviet time, it was never closed for worship. 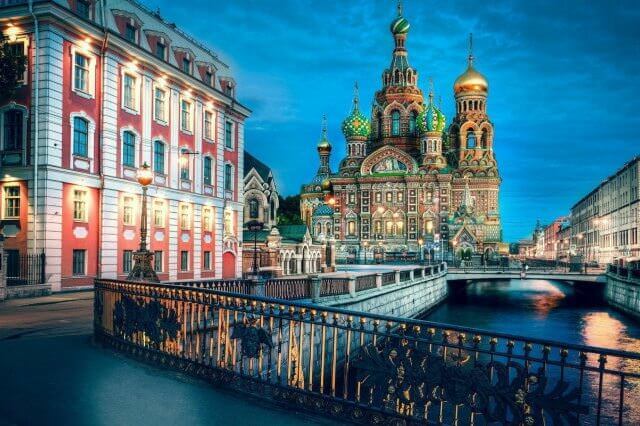 The same thing occurred to St. Nicolas Cathedral, dedicated to the patron of sailors and travellers. 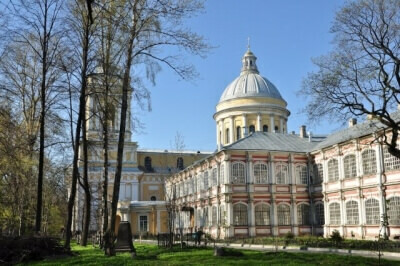 It was built in 1762 by the main Admiralty architect Savva Chevakinsky and has retained its original design. It still contains the 18th century Greek icon of S. Nicolas the Wonderworking with his hallows. 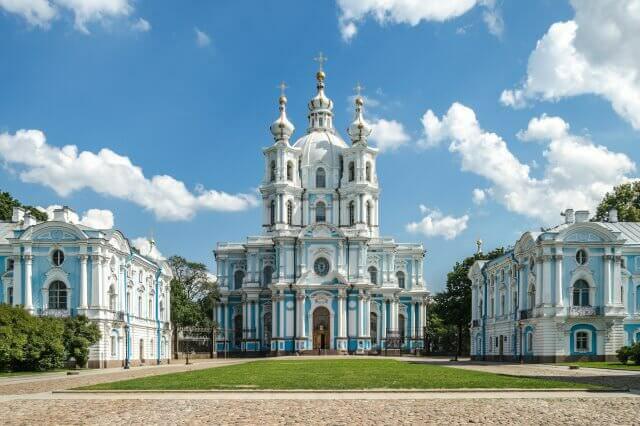 The Smolny Cathedral was built to become the focal point of the Orthodox Convent, where Peter the Great's daughter Elizabeth I wanted to retire at the end of her life. The ensemble of the convent was designed by a genius exponent of Baroque style Francesco Bartolomeo Rastrelli. Despite of the Empress's plans the construction was not completed on time and lasted for 89 years until it was finished by Vasily Stasov. 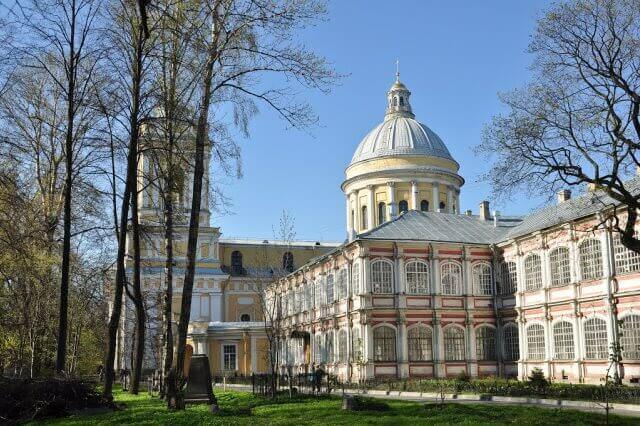 Before that the buildings for the nuns had been used for the first women's school in Russia – the Smolny Institute for Noble Girls, founded by Catherine the Great. 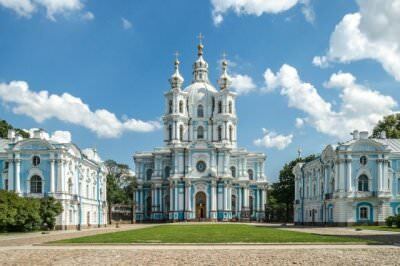 After the October revolution the Smolny Cathedral became venue for musical concerts. In 2015 it was handed over to the Russian Orthodox Church and the religious services resumed. The Trinity Cathedral is the centerpiece of Saint Alexander Nevsky Monastery, which was founded by Peter the Great and dedicated to Novgorodian Prince Alexander, who defeated the Swedish invaders during the Neva battle of 1240. After the foundation of St. Petersburg the remains of Alexander Nevsky, who was considered to be the city's patron saint, were transferred to the monastery and are presently kept in the Trinity Cathedral, built by Ivan Starov in 1790. The classical-style interior of the cathedral features paintings by Peter Paul Rubens, Anthony van Dyck, Raphael Mengs, as well as works of Russian famous artists and sculptors. During the tour the you will be able to see more than ten and visit five cathedrals. The duration and itinerary are discussable and can be tailored to your needs. We providing private guided tours to Cathedrals of St. Petersburg in English, German and other languages.